With the move to underground mining at Prominent Hill largely complete, brokers are looking more closely at the range of growth options presented in the OZ Minerals portfolio. Prominent Hill generated strong cash flow in the September quarter for OZ Minerals ((OZL)) with copper and gold production ahead of most forecasts. The transition to the higher-grade underground ore is largely complete and the Prominent Hill operation is expected to deliver improved grades, mill throughput and metallurgical recoveries. September quarter copper production rose to 31,919t. Production is expected to reach the top end of 2018 guidance of 100-110,000t and all-in sustainable costs (AISC) the lower end of the US$1.20-30/lb range. Brokers expect guidance to be easily achievable, as the September quarter showed the first benefits from higher grades. Open pit mining ceased at Prominent Hill in the March quarter. The stockpile will now be treated up until mid 2023, providing 10mtpa until early 2020, when copper will be depleted and displaced by harder, gold-only ore. Underground-only mining from 2023 is expected to provide at least 3.5-4mtpa until 2028. Gold production rose to 36,601 ounces in the quarter and production of 120-130,000 ounces is expected in 2018. Ord Minnett likes OZ Minerals' growth profile and exposure to long-term copper markets but concludes that full value is being paid for most development projects, while UBS believes the market is being too cautious regarding the copper price and development risks, as there are many potentially positive catalysts, including a maiden resource at Fremantle Doctor and the Carrapateena desktop study. Carrapateena is on track for first concentrate in the December quarter of 2019. Capital expenditure requirements for the rest of 2018 have been lowered following refinements to the timing of procurement, which will result in higher cash outflow in the first quarter of 2019. The main feature of the September quarter report was the 5% increase in AISC at Carrapateena, largely pertaining to higher capital expenditure, such as access roads and tailings dams, but also in order to complete the mine design. A site visit next month is expected to provide further detail. The increase in costs is consistent with Citi's view of industry cost inflation over the past 18 months. Yet Credit Suisse questions whether the project is actually on budget, as capital expenditure is behind original scheduling and a portion of development capital has been moved to future sustaining capital. The broker argues, if the increase in costs is mostly a result of deferred development activities that will be undertaken as sustaining capital when the mine is in operation, then an increase in capital costs has simply been avoided. UBS acknowledges the main risk is a delay or additional capital expenditure at Carrapateena and this may be the reason behind a discounted valuation. On the positive side, development rates are expected to improve in the current quarter as better ground conditions are encountered. 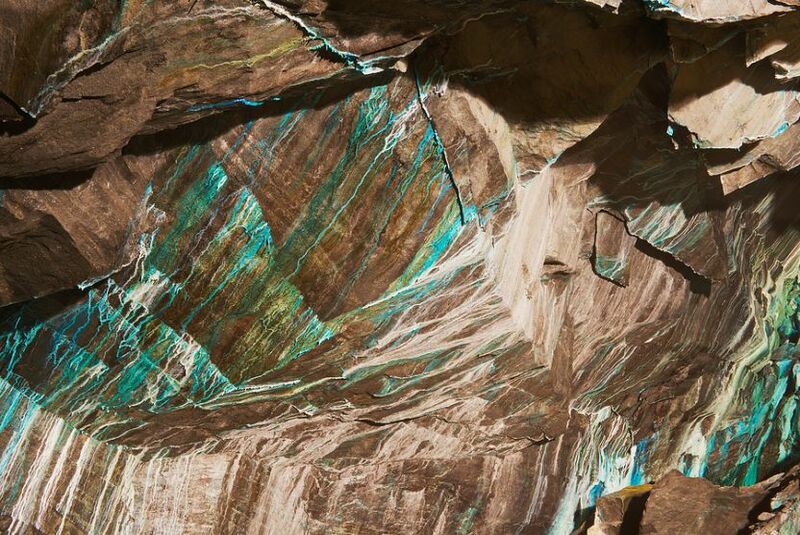 First production results from Antas were declared, at 3000t of copper in concentrate. This was softer relative to Macquarie's forecasts because of lower head grades, as operations progress through a pit cutback. 2018 guidance is limited to the former owner's (Avanco) projections, as OZ Minerals is unwilling to provide its own analysis until drilling is completed. Credit Suisse hopes the publication of a strategy for Brazil in the December quarter will provide more clarity for both the portfolio and timing. The broker is concerned that Antas, while admittedly tiny relative to the other assets, does not appear to be performing. Reconciliation issues were noted at the time of acquisition, attributed to poor mining practices. Yet the first report shows a head grade of 1.39% copper, materially below the prior quarters and nowhere near the reserve grade of 2.64%. Credit Suisse is concerned that if the reserve grade is demonstrated to be materially overstated, it could reflect negatively on the other less-understood assets in the portfolio. To be clear, Antas was never promoted as the reason for the acquisition but remains an area, in the broker's view, where estimation errors should be lowest. Citi highlights the assets acquired from Avanco have the potential for over 50,000tpa copper from Brazil within five years. Meanwhile, in other growth prospects, the company has an option to acquire Pantera from Vale and a resource upgrade and conceptual mine design in the March quarter will underpin a decision. A provisional environmental licence has also been awarded to Pedra Branca which will help with a decision to mine next year. At the nickel-cobalt-copper West Musgrave project Macquarie notes encouraging drill results, and the company is on target for 70% ownership with expenditure of another $14m. A resource update is expected in the first quarter of 2019. FNArena's database shows five Buy ratings and two Hold. The consensus target is $10.68, suggesting 19.5% upside to the last share price. Targets range from $9.50 (Credit Suisse) to $12.30 (Citi).